An adoption search can take years and be long and frustrating or fast and furious or everywhere in between. No matter what steps one takes, anyone is bound to experience a wide range of conflicting and often quickly cycling emotions. Having an understanding circle of people who have also experienced similar feelings is often vital to support emotional health. When experiencing all these new feelings, knowing that others have walked the same path before and felt similar ways is both normalizing and validating. In addition, search support can also mean more hands helping and provide new avenues to explore while searching for your original family. There are many more sources of information and adoption search support online, but the following groups, links, and sites are specific to New York adoption searches. The Genesee Valley Search & Support Group: Provide assistance and techniques for searching for birth family. For information on meeting dates and time, please contact Jeff Hancock at jhancock@rochester.rr.com. Meeting Time: 1st Wednesday 7p.m. – 9p.m. Rochester NY Adoptee/Birthparent Support Group: Not a search group, but can connect people searching with some valuable people and resources. Occasionally the library is unavailable so we meet in an alternate location. Contact to confirm the location of the meeting. Meeting Time: 3rd Thursday, 7:00-9:00 p.m.
A.C.E. (Adoptee Circle of Experience): not a search group, there will be resources available to help begin a search as well as support available from members of the group that have undergone a search themselves. CUB, Concerned United Birthparents, offers a members only online adoption support area. 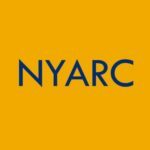 The following links are not New York Adoption Search specific, but do offer support and assistance. For even more pages and groups on Adoption Support on Facebook, please click here. The Coalition is not a government agency, does not provide direct search services, and is unable to assist you with accessing information in closed adoption records. We ARE NOT SEARCHERS, however, we can point you in the right direction. Please see the Guide to Finding Your Birth Parents if Born and Adopted in New York State.